Google Reviews have become a thorn in the side of businesses and Google seems to be drowning. 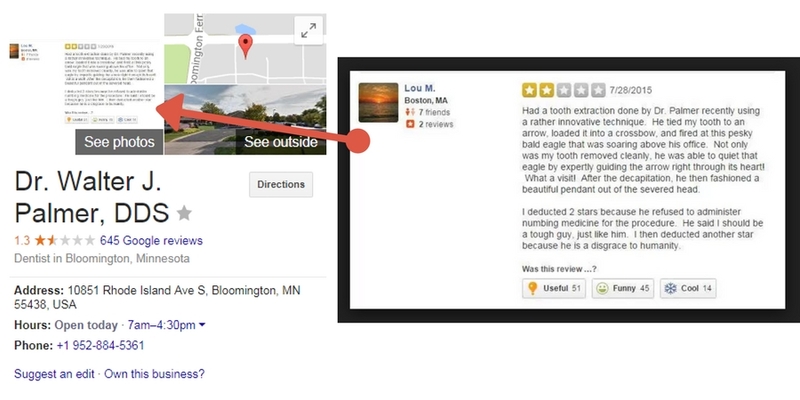 You only have to take a look at the Google My Business forum to see the review complaints. Yes I understand that millions of reviews are made a day and business can “flag inappropriate reviews“, good luck with that. But what about high profile, in the news businesses or practitioners that have been reported to Google before, surely they can control these? 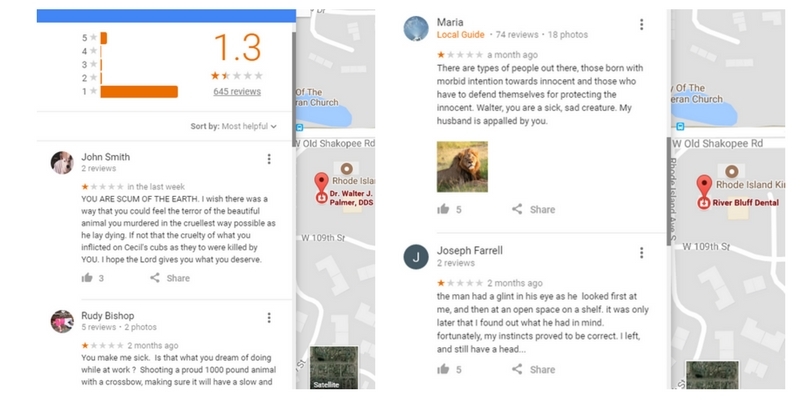 Remember Cecil the Lion and Dr Walter Palmer, when the story broke so did the reviews on both the business and practitioner business listings. 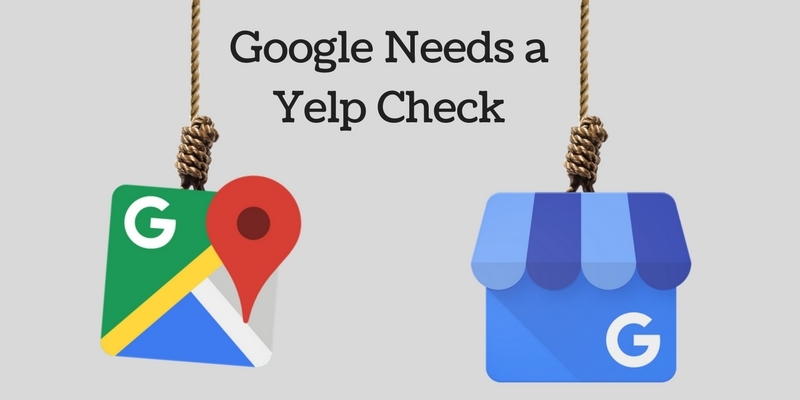 These were reported to Google and I have periodically alerted Google My Business to more fake reviews being posted, surely Google can revisit these high profile listings without Google TC asking them too. Yelp marks these listings “This business is being monitored by Yelp’s Support team for content related to media reports”, surely Google can manage this? Yes, Yelp marks these so users know that reviews appearing may be biased and or fake based on media reports. They also manage to periodically clean up the fake reviews unlike Google. If Google has lost control of their reviews, then they have bombed when it comes to business images added to the business. I doubt anyone is going to report these business images, but it gets worse. Back in March 2016, Google My Business decided to start pulling web images into google business listings, which turned out to be a disaster. They eventually dialed it back, but not enough for Dr Palmer. Yes Google is literally pulling an image from an article in heavy called “Dr. 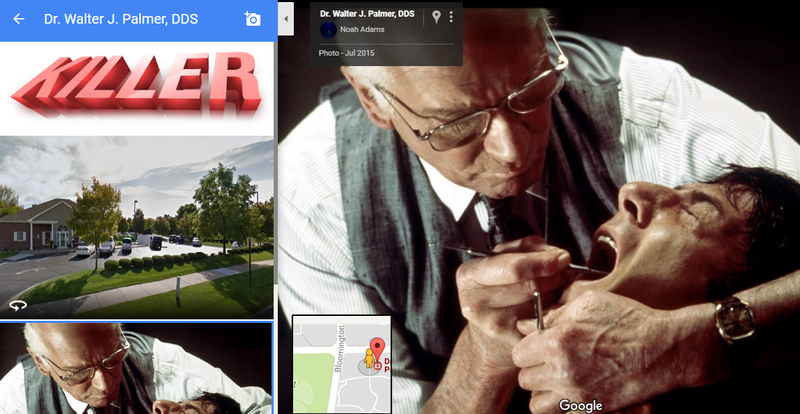 Walter Palmer Is Being Eaten Alive on His Yelp Page”, ironically the image is of a bad Yelp review which has long been removed from the actual Yelp page.